Your set isn’t complete without director’s chairs, tall or short. 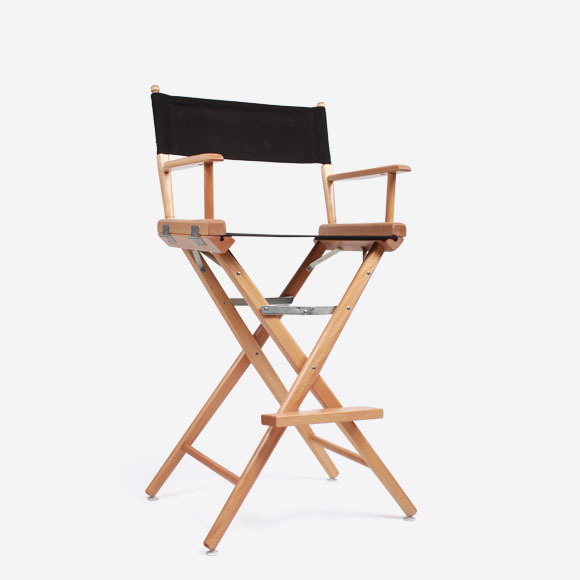 Our industry standard director’s chairs are a must for your video village, make-up hair area, your principal talent’s motorhome and of course your director. Our chairs come with blank black seats and backings and are ready for action. We also carry padded director chairs as well.